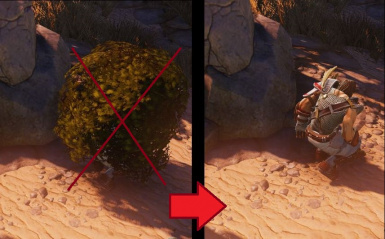 Removes cover models (bush/rock/snowball) from characters in the sneaking mode. Just a small adaptation of this mod for EE. Install - extract from archive to "Divinity - Original Sin Enhanced Edition" folder. Unistall - delete 4 FX_Model_Sneak*.GR2 files from "Divinity - Original Sin Enhanced Edition\Data\Public\Shared\Assets\Effects\Effects_Models"
Original idea and author Demonata08 from larian.com mods forum.